As parents, it's our responsibility to raise our children, educate them, and also discipline them. But, sometimes, we can get caught up in what we consider to be discipline and loose focus of the ultimate goal. 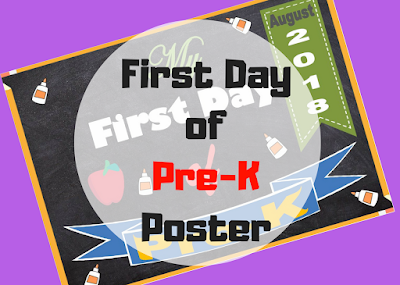 While we're at it, it is crucial to make sure that we raise them to be independent, positive, motivated, confident, and responsible individuals. One of the most important things I've learned in life is the power of positive words. No parent is perfect, but there's something we all do that contributes to positive parenting that we can appreciate. I appreciate the fact that no matter how angry I get, I never (and I mean never) call my children names or insult them; not even as a joke. People often say what they really mean and mask it as a joke without realizing the impact it can have on others; especially children. To raise children who feel confident about who they are, appreciate their contribution to this world, and feel motivated to accomplish their dreams, we must instill it in them from the very beginning. Positive words, however big or small, can make a very strong impact on who our children become tomorrow. We should try our best as parents to make our children feel valued and appreciated. The power of words is indisputable, so whatever you choose can either have a positive or negative impact on your children. Again, we all make mistakes, but there's always room for learning and improvement. 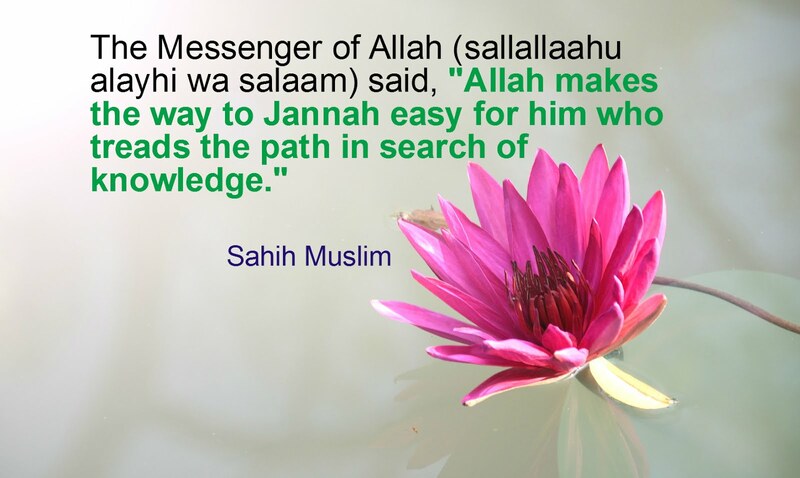 Lastly, as Muslims, our ultimate goal is to please Allah and enter Jannah. So it is important to always reference it all back to Allah, the fact that He created us and made us family, the blessings He gives us, and the mercy He has upon us. Download a PDF format of these positive phrases below. 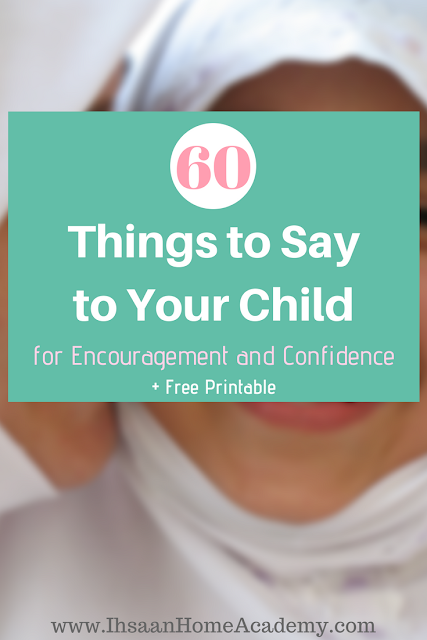 Grab the pdf file of the 60 Positive Things to Say to Your Child. Also, join our newsletter for updates, freebies, deals, and more. An email has been sent to you for confirmation. Confirm your subscription to download the printable NOW! 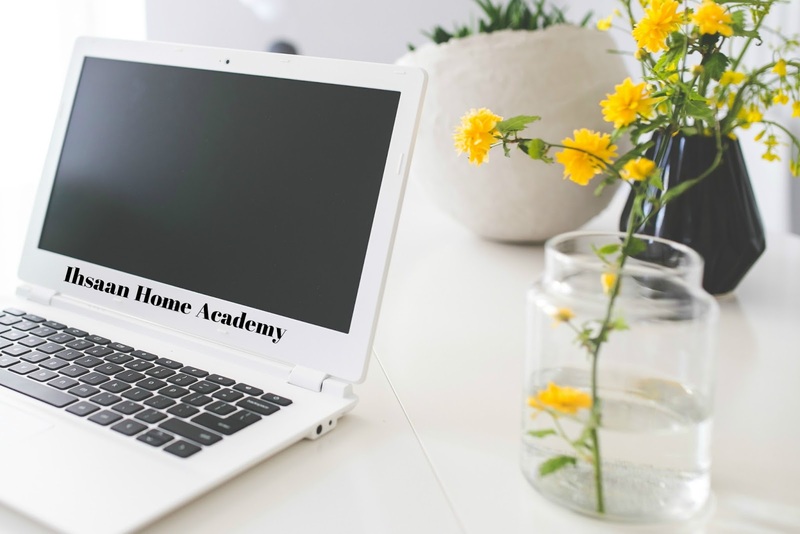 What makes homeschooling fun is that you can try different ways of learning to see what works for your child. Not every child is the same, so the way of effectively receiving knowledge can also differ. 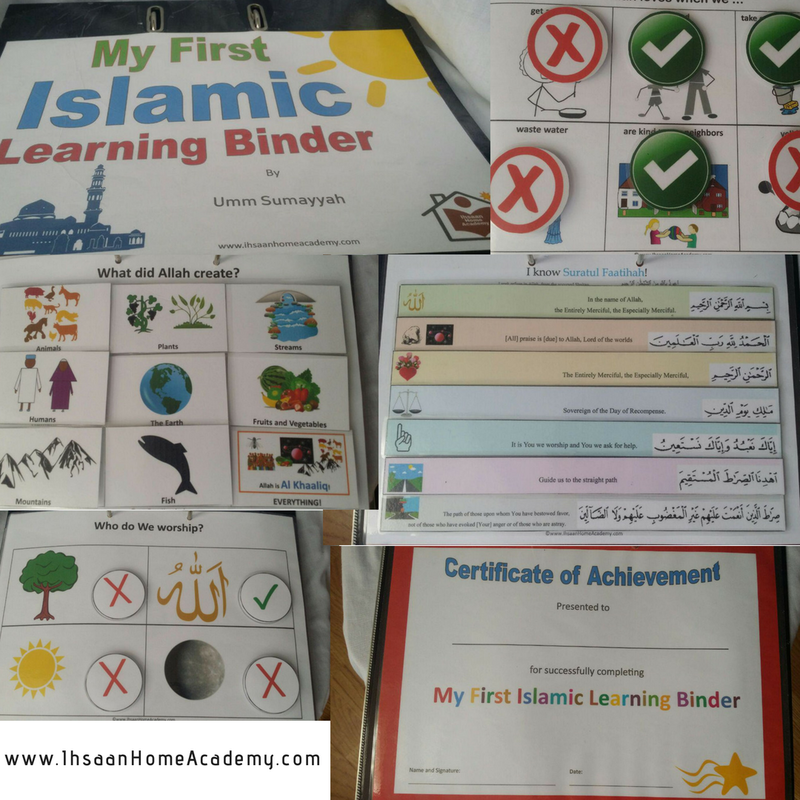 Using simple interactive binders/notebooks can be a very fun and positive learning experience for some children. 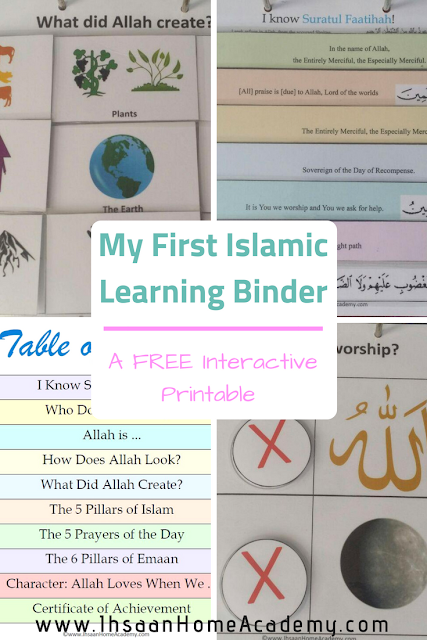 I've put together an Islamic interactive binder for my daughter and wanted to share it with you all. 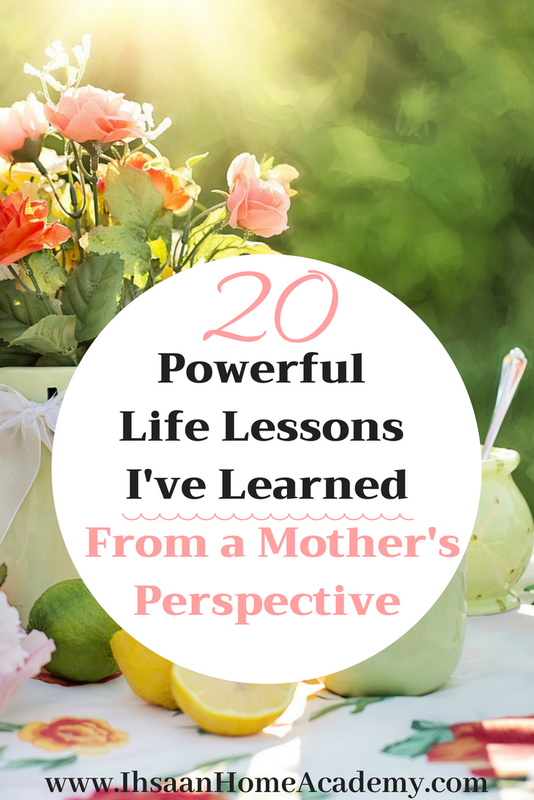 I must confess, I first wanted to only share it with the subscribers of this blog, but later decided to make it public. The reason for is because of how my children have been overjoyed about this binder. I thought, maybe other children may love it just as much. So, here we go! *This post may contain some Amazon affiliate links of items I recommend or use, please read my Disclosure for more information. Let's start with the content of this binder. 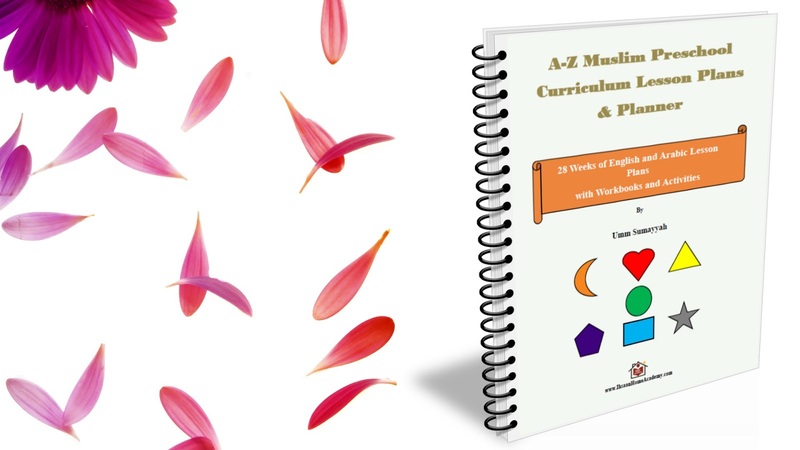 It comes with nine (9) different activities and a certificate of achievement at the end. 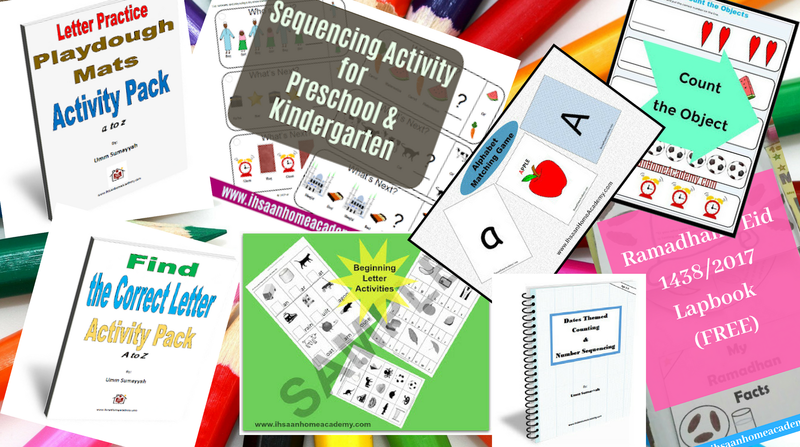 This project (as my daughter likes to call her activities and folders) is interactive and can be used independently by any child (3-8, less or more). It comes cut-outs to use as manipulatives and/or pieces of matching games. Print the cover page and the certificate of achievement on 'borderless' to extend the colors to the end of the paper (A4). Print the rest of the pages (A4). 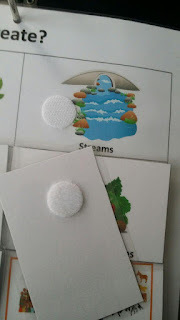 Cut out the manipulatives/matching pieces (or cover them with clear tape before cutting if you're not using a laminator). Hole punch all pages and put them in a binder. If you can get a binder that stands, that would be even better. Put the pieces of velcros like the example in the picture below (you'll know by looking at the pages). Put the opposite end of the velcros at the back of the manipulatives/matching pieces as shown above. Tape the cover of the activity on the binder cover (optional). And that's it! You're all done! Now play with your children and explain what should be done as you go. You wouldn't need to explain it much and before you know it, they'd be using it on their own. I believe the velcro part makes it even more fun for children. Trust me, this may take you a little bit of time and effort to put together, but it will be worth it because it won't take much effort from your childen to use but still learn! It doesn't hurt to try and see how they respond. If you use this learning binder, I would really appreciate it if you would let me know how it went. Getting feedback would allow me to make even better printables for you all, in shaa Allah. May Allah make it beneficial. You you aren't subscribed yet, what are you waiting for? 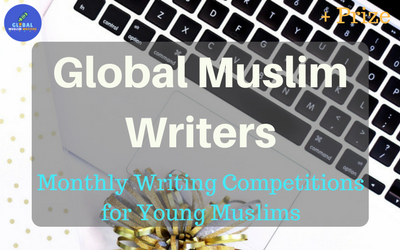 Subscribe to get exclusive printables sent directly to you inbox every month, in shaa Allah. Join our newsletter for updates, special offers, and special FREEBIES (+ new ones every month)! A confirmation email is on its way to your inbox. 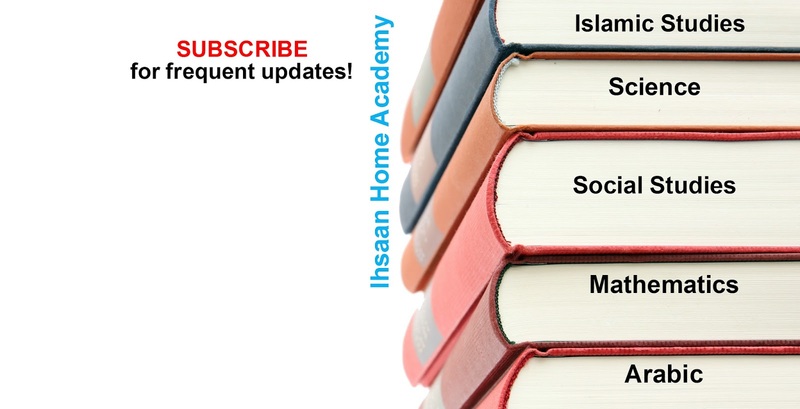 Please, make sure to confirm your subscription to join the I.H.A. 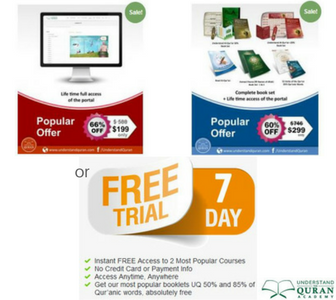 newsletter and gain access to the extra freebies. If you don't see the email, you may look through other areas of your email inbox. 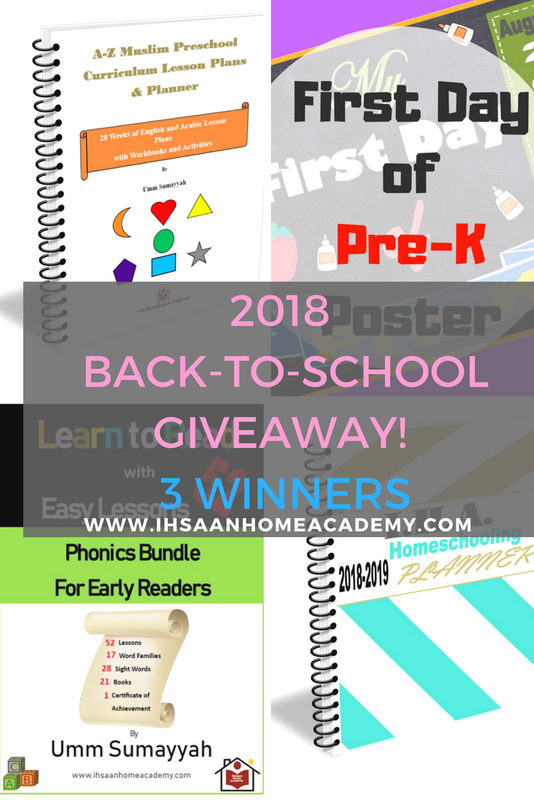 As it's almost time for most children (school-educated or home-educated) to go back to school/homeschool, this is the perfect time to gather useful educational resources. 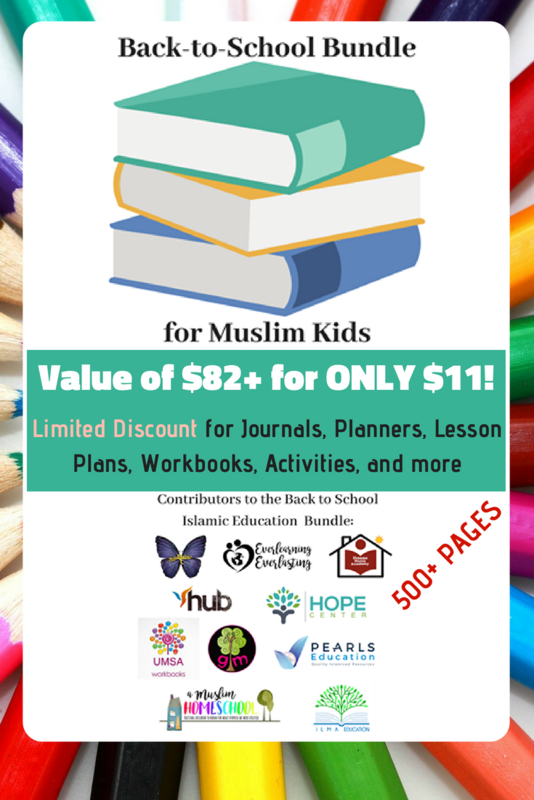 A group of Muslim educators came together to offer a HUGE discount deal as a back-to-school Islamic education bundle for children! 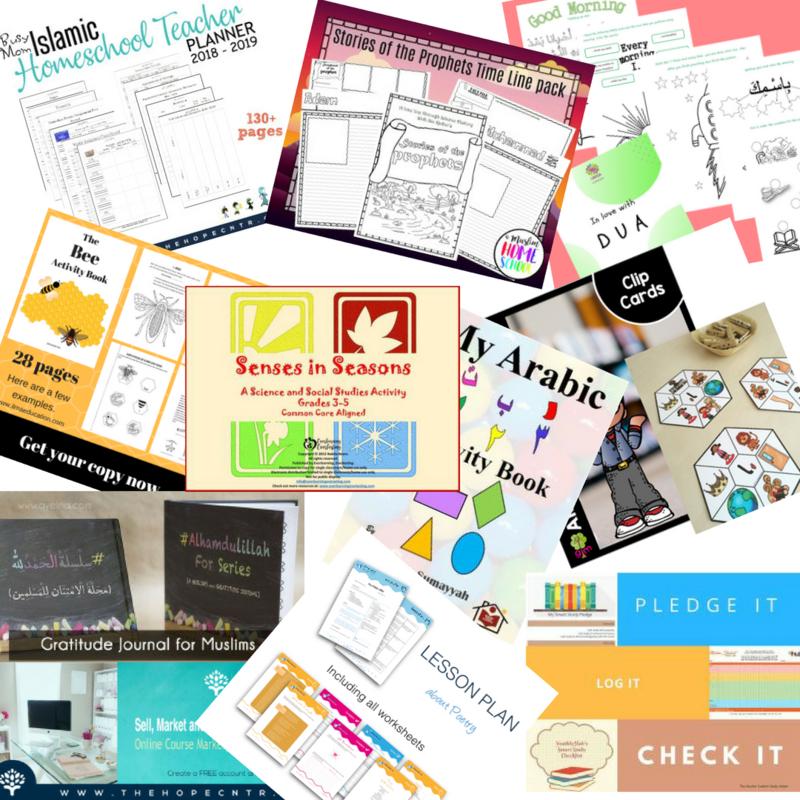 This bundle is full of various educational printables that you can use throughout the year. It is the value of $82+ that you will be getting at only $11! And guess what? 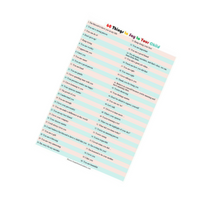 The total number of printable pages you would be getting in this bundle is more than 500! That's a once-in-a-blue-moon deal to not miss! 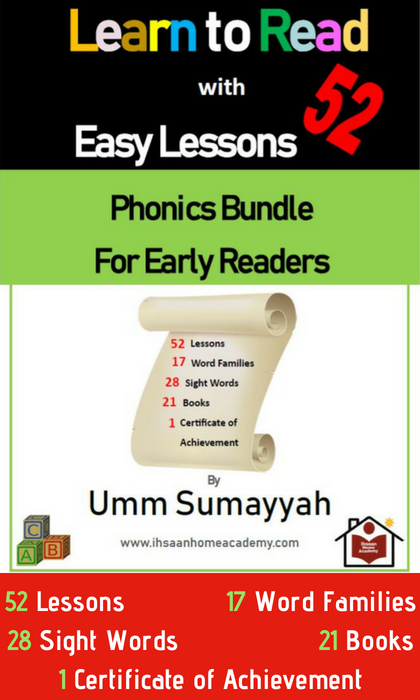 You can learn more about this bundle HERE or buy it HERE. You wouldn't want to miss this deal! 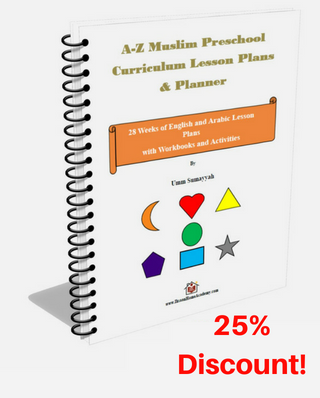 Share it with your family and friends, and HURRY, get your copy NOW! 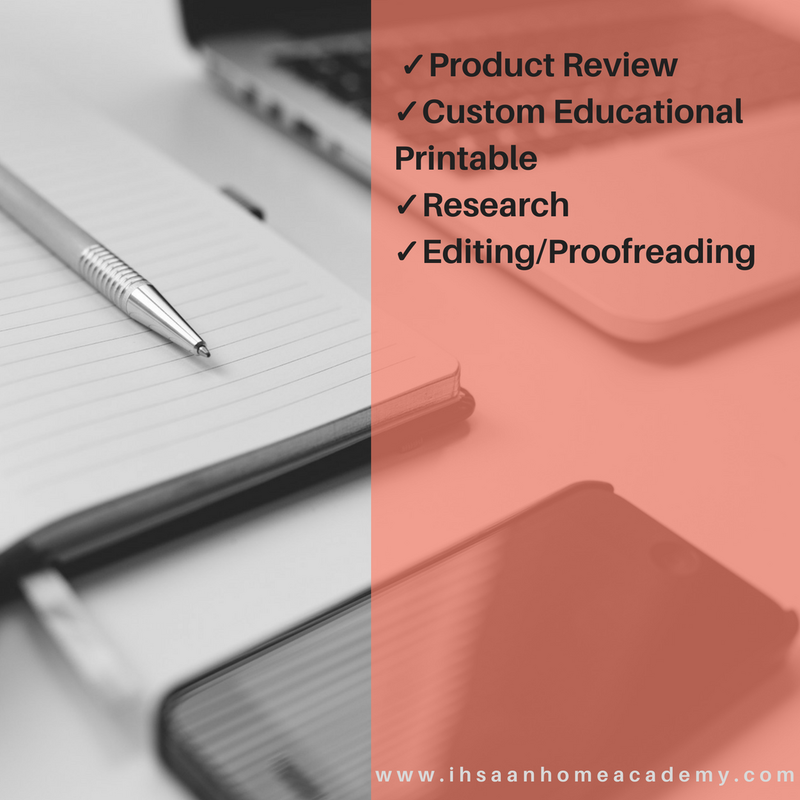 I wish you a wonderful and productive homeschool/school year. We're getting very close to the hajj season! Can you believe Ramadan finished and it's now almost Dhull Hijjah? Time's surely not waiting for us. 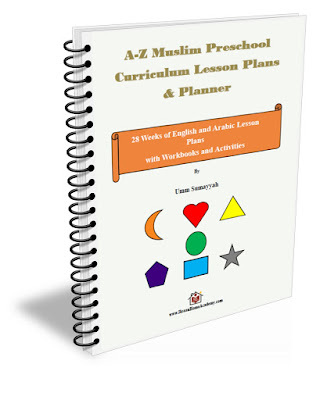 This is the perfect time to talk about hajj and do activities with children. 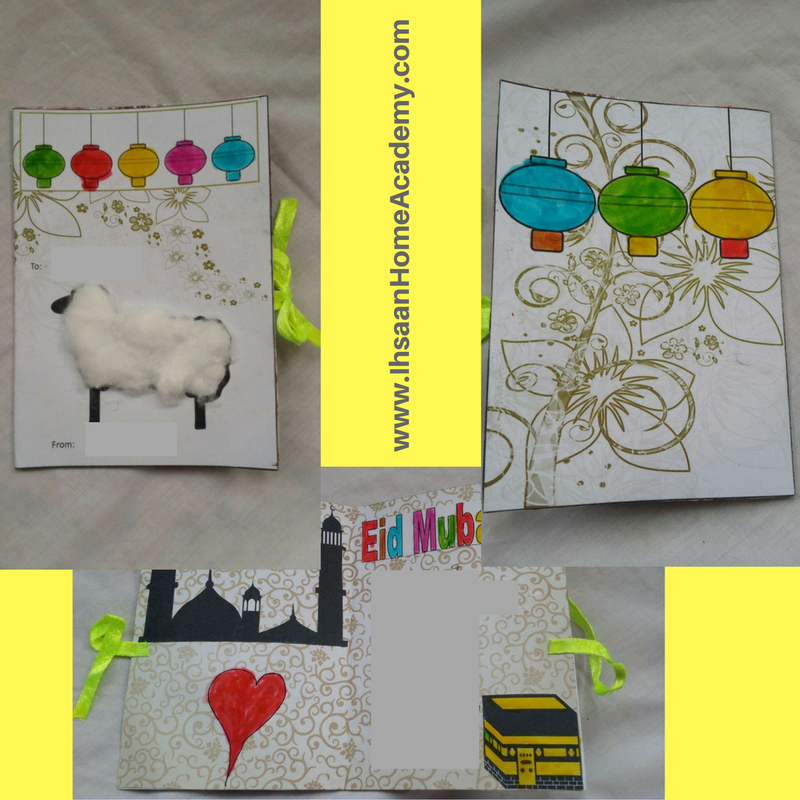 If you're homeschooling, you can make a hajj-related theme or unit study before Eid Al Adha. 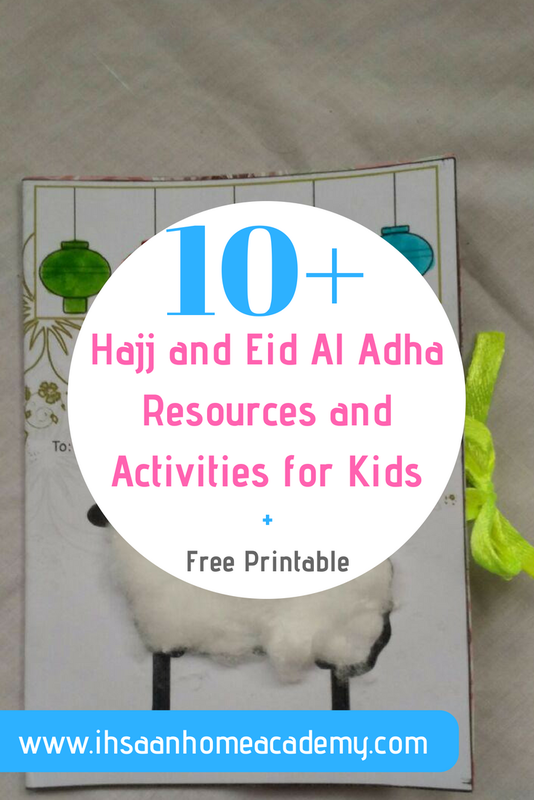 Here are ten (and more) resources, activities, and printable that you can use to introduce hajj and Eid Al Adha to your kids. She has many more very useful printables. She lists other useful projects below as well. She shares ideas of what you can do with your child. She's a sister who has been homeschooling for year. 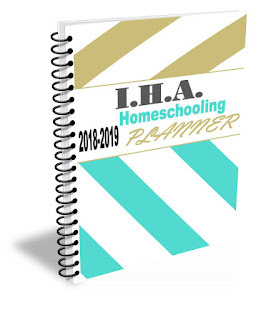 She shares lots of information on homeschooling. I hope this list was helpful and will benefit you in shaa Allah. I wish you a very productive hajj season and blessed Eid. If you're going for hajj, may Allah accept your hajj. Please, keep us all in your du'a.